All of us owe our elderly citizens a great debt for everything they have given to our society. Unfortunately, some people’s behavior toward their elders takes the form of abuse rather than gratitude. Victims of elder abuse and their families need to be prepared to fight back. Have You or A Loved One Experienced Elder Abuse? At the law firm of Corsiglia McMahon & Allard, L.L.P. 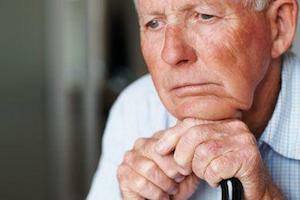 in San Jose, our experienced elder abuse attorneys pursue legal claims against all types of elder abuse perpetrators. Call (408) 289-1417 today for a free consultation with a knowledgeable lawyer. You will pay nothing unless we win your case. Nursing home abuse and neglect: When nursing home administrators and staff members fail to provide for their residents’ safety and well-being, they can suffer serious and potentially fatal injuries such as falls and pressure sores. Embezzlement and other financial abuse: All too often, when seniors allow family members and so-called friends to handle their financial affairs, those people end up taking money and property for their own benefit. Fraudulent sales and business practices: Unscrupulous companies and their salespeople often target older people for the fraudulent sale of annuities, insurance policies, mortgages, home equity loans and other potentially abusive financial products. The San Jose elder abuse lawyers at our firm are respected throughout Northern California and nationwide for their dedication to pursuing justice and accountability by helping victims of abuse and neglect pursue claims for fair compensation. Personal injury lawsuits not only obtain money damages for victims of elder abuse; they also help stop the same thing from happening to others in the future. The lawyers at our firm are devoted to doing their part to stop elder abuse and neglect. If you believe you, your parent or another loved one has been a victim of elder abuse, don’t hesitate to contact us to discuss your options with a skilled legal advocate. Call (408) 289-1417. We serve clients in San Jose, Los Gatos, Santa Clara, Campbell, Sunnyvale and other cities in Northern California.